hunger games live. . HD Wallpaper and background images in the The Hunger Games club tagged: katniss peeta gale the hunger games. sO FUNNY!!! I love gale's expression! i like peeta's too, he's like,"yeah, that works!" lol another funny one. 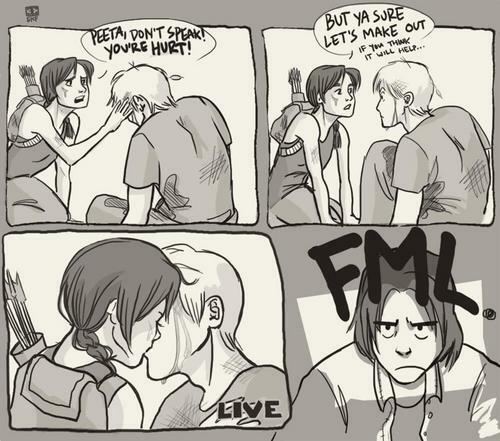 :D FML gale. Hahahaha . 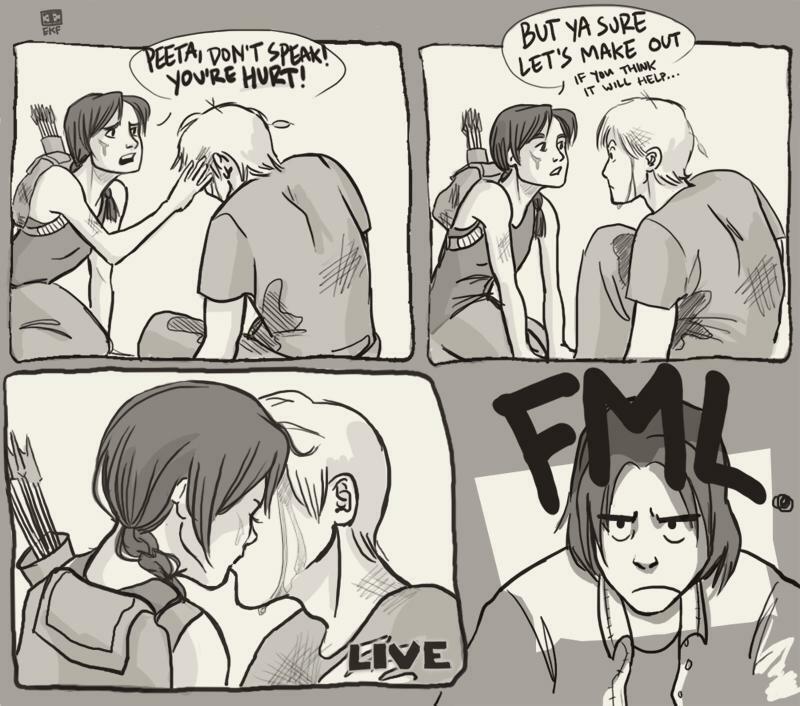 . . poor Gale . . .
i'm surprised he didn't kill peeta when he came back! I'm here for u Gale! I don't know why Gale fans are so upset about him not being with Katniss,that means he single and open for business. True dat silver93 but I just don't like how he's always put second. He's my number 1! luv u Gale! haha!!!! stupid gale!!! TEAM PEETA!!!!!!!!!!!!!!!!! hahaha .this is real good . Dont mess wid Gale miss Prim_Ev Peeta is who u must be refuring to! I have a right to stick up for Gale! huh? not you. i don't understand lily55's comment. What does FML mean? Sorry I'm slow! xP LOVE IT! TEAM PEETA!!!!!! Haha! I love Peeta's expression when Katniss is like "But Ya, sure lets make out...if you think that will help..."
LMFAO that is awesome HA HA gale HA HA GO PEETA!!!!!!!!!!!! Ok, so people said that Peetah had to try so so hard to come out of the tracker jacker venem. But Gale had to struggle for the past three years watching his woman being taken away! Now he has to go the rest of his life feeling rejected!-TEAM GALE! Peeta has to spend the rest of his life trying to get over the venom. If the same thing happened to Gale, you'd be singing a different tune. Maybe, but they both have healing to do. 2)to be honest i don't think gale really loved katniss as much as peeta and not in a "i'll die without you way" cuz she was there with him for years and years and he never made a move when he could have easily. more easily than peeta. instead he was going around with other girls. so i think it was more like he wanted what he couldn't have. 3) peeta is awesome so don't deny it. in every way. after the tracker jacker thing, he came out a better person anyway (if that's even possible). @bluecementicing: Like the saying " You never know what you got until it's gone", Gale probably didn't realize his true feelings for Katniss until she was reaped (to save her sister). And, during the book, he seemed shy when he expressed his feelings sometimes (not including the ones against the Capitol). there. I think i may have proved my point. I will always feel bad for Gale, I mean he loves her. Im my opinion their personality is perfect for each other, but I love Peeta too! Katness ends up having 3 kids with peeta. OMG! I was eating a hot-dog when I read tis and laughed so hard I started chocking! lolz! TEAM PEETA ALL THE WAY!